It only shows black background, instead of alpha or transparent. Then, I looked for solution of my problem, and found someone else has the same problem as I do. 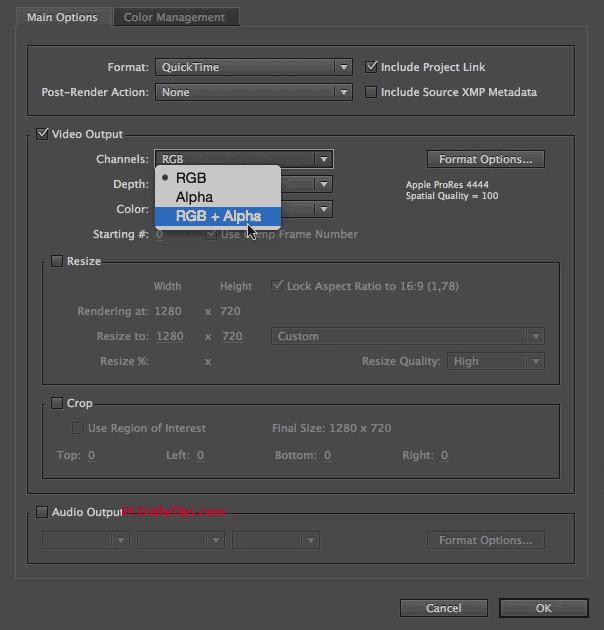 However, in the After Effects, I tried many settings, and this one works for me. 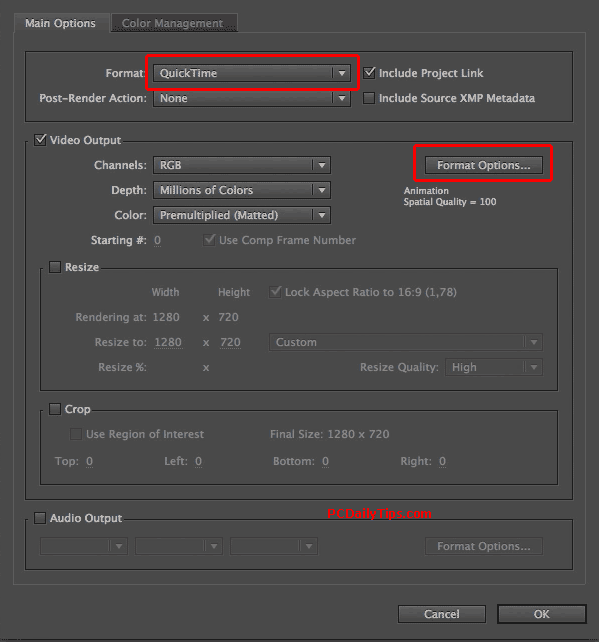 Then you will see the “Output Module Settings” that looks like this. 2. Click on Format Options. 3. 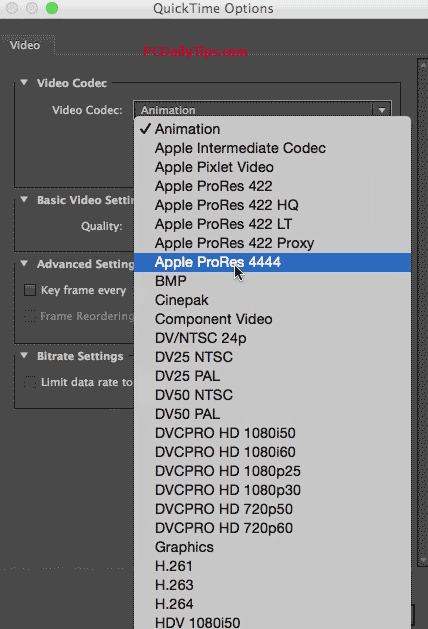 It will open QuickTime options dialog box, on the “Video Codex” option, select “Apple ProRes 4444” from the drop down menu. Click, “OK” button. Now, you can start to render it. After you’re done with rendering, you can use it with your Camtasia For Mac, and it will work, I have no idea why the older setting did not work with this update, but at last, it finally works.